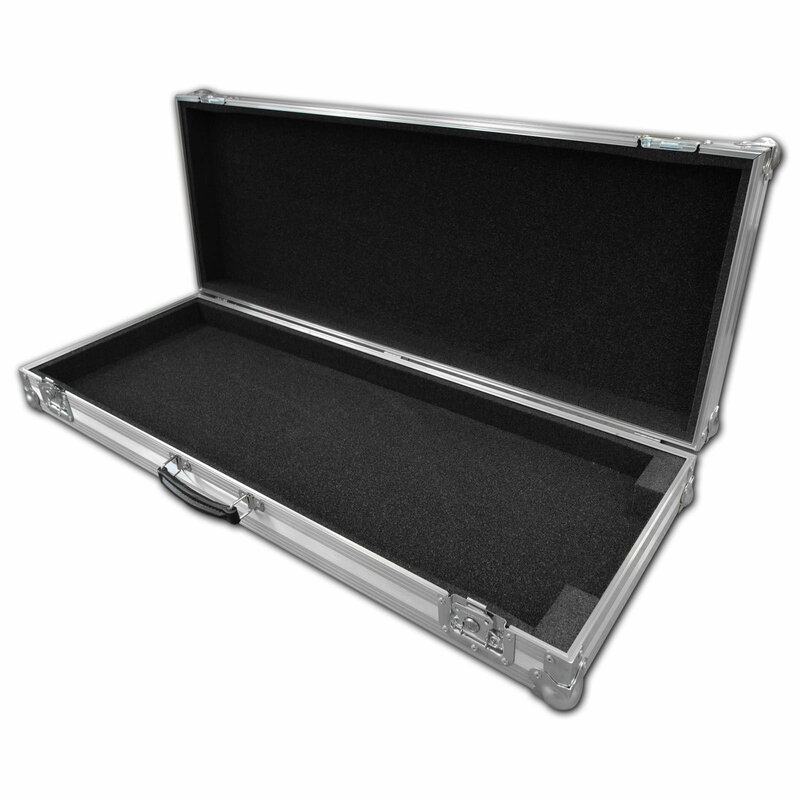 The Flightcase Warehouse custom keyboard case is a custom built flight case designed to protect your keyboard whilst on the road. This flight case is designed in house by our design team and manufactured using Penn Hardware with ultra strong hexaboard panels. 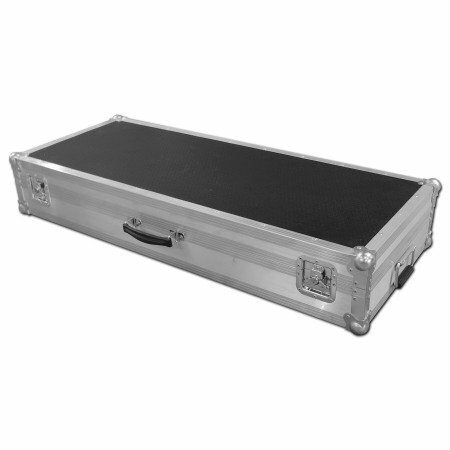 All of our Keyboard Flight cases are designed and built around the equipment to ensure maximum protection while keeping to the minimum size, which means the case is no bigger than it needs to be. Hard Keyboard Flight Case For Korg PA50 4.84285714285714 out of 5 based on 35 ratings. 35 user reviews. Good case. Delivered very quickly at request. Great service. I’ll buy again. Superb case, fits the keyboard perfectly. Robust and well made, cannot fault this product! This Case is excellent quality and houses my my keyboard perfectly. If I ever get another keyboard, I will definitely buy another case from you. VERY HIGHLY RECOMMEND. Bought two - used them for some months now and absolutely no problems - perfect thank you. Extremely good quality and well crafted case that fits the keyboard like a glove. Matched with equally good quality and friendly customer service. Speedy turnaround for a professional level touring case. I'm a very satisfied customer. As usual, friendly and fast service with top quality products at the end of it. I don't think my cases (and I have a few) are ever going to wear out! Very pleased. Excellent communication and product from FCW. This was the first case made for Nord's Electro 4D- FCW contacted me throughout the pre production period to confirm dimensions (same as Electro 3 SW61) and other details. Very substantial case with just the right amount of give in the foam to be able to get the instrument out. Recommended. The Flight case is good. But the price could be reduced. Good service as ever,not a first time buyer,but knows the quality and protection this gives to your Kit. Prompt service, well made case, my Juno 6 fits snuggly in it's new home. First journey this week went without any problems. Ideal protection for my keyboard. Excellent. Great phone service and support on organising convenient delivery date. Good quality product. Internal foam could have been glued better - otherwise excellent product. Thanks FlightCase Warehouse! Top-class case for my Yamaha Tyros. Excellent quality, built to last! Liked the strong leather handle, butterfly sprung catches and castors particularly. Would highly recommend this manufacturer. Case for my X6, superb. Well made, bomb proof. Got the castors makes life much easier. Only annoyance is that you can't stand it upright on the castors! A couple of rubber stoppers opposite the wheels would have made it 100% instead of 95%. But, other than that, top notch. Wish I'd ordered the castors this is a substantial and well made case. Fits perfik. Substantial fittings. Quality build. Proper job. And it wouldn't surprise me if the roadie could back the van over it without the keyboard coming to any harm! Fantastic flightcase for my Korg Triton. I'm very pleased with the overall quality and finish - this is a serious, tough case built to demanding standards. Thanks for the great service! Excellent case. Fits keyboard perfectly better qulaity than I expected. Good communication in regards to delivery. Would definately recommend and use again. Great stuff. Built well and delivered on time. Recommended to everyone. Excellent customer service. Case is built like a tank. Added the caster rollers which makes it perfect. Wish I had thought to add to my order a case for the speakers and assorted bits. Great customer service, the keyboard case is sturdy, perfect fit, I have no complaints. Another TOP QUALITY case and great service from FCW. We don't use ANY other manufacturer, all The Misers gear is protected with FCW Cases....something this good, you just don't f*ck with!! Very nice build indeed. Only thing is the castors, I´d liked some sort of rest so it could stand on the wheels so I don´t have to lay it down on the ground when I´m opening doors etc. Otherwise I´m very happy, perfect fit and will probobly survive any war. My baby is safe at last. Great product! Made my "new" Novation Supernova 2 arrive from the UK to Latvia safe. I will come back for sure in case I need a flight case for some synth again! I have a case for a motif 6 (and also a TritonEX and a cable box. All brilliant. Yes you can get cases for less, I tried it - never again, you get what you pay for. I now only use these guys. Great quality, perfect fit! Excellent. Would reccomend t anyone! I have purchased a number of flightcases from FCW and have always been very pleased with quality and service. well done.